Mazatlan! Perfect days on sandy beaches, with plenty of time for relaxing in a fine hotel, your beachfront condo, or an RV parked among friendly folks. Not to mention fishing, snorkeling, and nightlife. Mazatlan is an excellent Mexican vacation destination, for its beaches, good weather, and things to do. Crafts from all over Mexico are available, and there are plenty of good restaurants. You can drive or fly there quite easily from the US or Canada. Look for Mazatlan package deals if you are flying. On a recent trip there, my husband and I stayed north of the Zona Dorada (Golden Zone), where much of the tourism-oriented activity takes place. We didn’t go into the Old City, as we’d done that before and just wanted high quality beach time. We got it! We had fun with our cameras, and I made this Mazatlan photo-collage, which admittedly was playing a bit with reality. 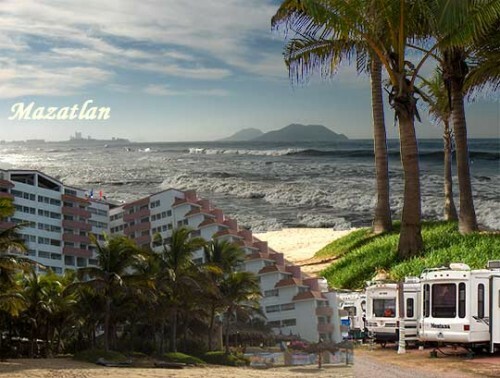 If you’re interested in a nice beach vacation, do also see my page about Mazatlan hotels. 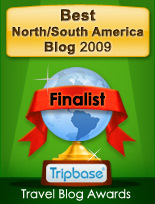 I’ve also got a page on Mazatlan RV parks… we stayed in two different ones and there are many more.